1989 - The NAACP 21st Image Awards were aired. Michael Jackson won Best Male Artist and Best Album Of The Year for BAD. He was also honored with the "Leonard Carter Humanitarian Award" in recognition of his humanitarian endeavors, during the Image Award ceremony held in Los Angeles, celebrating black achievements. Among other honorees were Whoopi Goldberg, best film actress; Eddie Murphy, black entertainer of the year; and Vanessa Williams. 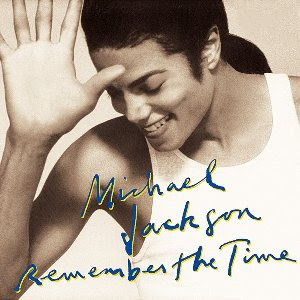 1992 - Remember The Time is released as the second single from Michael's 8hth studio album DANGEROUS. Remember the Time was recorded in the Hit Factory Miami, was written and composed by Teddy Riley, Michael Jackson and Bernard Belle, the song was produced by Riley and Jackson. Dedicated to Diana Ross, Remember The Time introduced so-called 'jack swing' to a worldwide audience for the first time with the accompaniment of co-producer Riley. Musically, the song is dance-oriented and its instruments include a piano and guitar. Riley told the Los Angeles Times in November 1996, he wrote the song after Michael told him about falling in love with Debbie Rowe: "I don't know why he didn't marry her the first time around." "One of the biggest things Michael really surprised me with on DANGEROUS was his vocal delivery on Remember The Time," said Riley. "That really blew me away... that was the sound I was thinking of for the album... I'd describe that sound as, really, like the New Jack Swing sound." the first few weeks of the singles’ UK chart run, both titles were listed and peaked at #3. In reaching #1 R&B and #3 Pop, Remember The Time achieved a RIAA Gold Record in the States, and it also charted at #1 in New Zealand, #2 in Belgium, #3 in Australia and Holland, #5 in France, #8 in Germany and Italy, and #10 in Norway. The song reached the top twenty in all major territories. A nine minute music video directed by John Singleton, marketed as a "short film", was released for the song. The video is set in ancient Egypt and features appearances by Eddie Murphy, Iman, The Pharcyde and Magic Johnson. Remember The Time won an American Music Award for Favourite Soul/R&B Single, Male. 1999 - January 14-25: Michael goes to Sun City, with Prince, Paris & their nanny Grace Rwaramba. 2008 - The Girl Is Mine 2008 is released. The remix included in Thriller 25, the album celebrating Thriller's 25th anniversary, featured an original solo demo of the song by Jackson, before he had recorded the duet with McCartney and will.i.am added his own vocals and new verse. The song reached #12 in New Zealand, #22 in France, #51 in Switzerland and charted within the Top 50 of Denmark, Sweden and Switzerland. 2009 - Michael goes to see Dr Klein in Beverly Hills with Blanket. This entry was posted on 14 January 2011 at Friday, January 14, 2011 and is filed under 1989, 1992, 1999, 2008, 2009 . You can follow any responses to this entry through the comments feed .